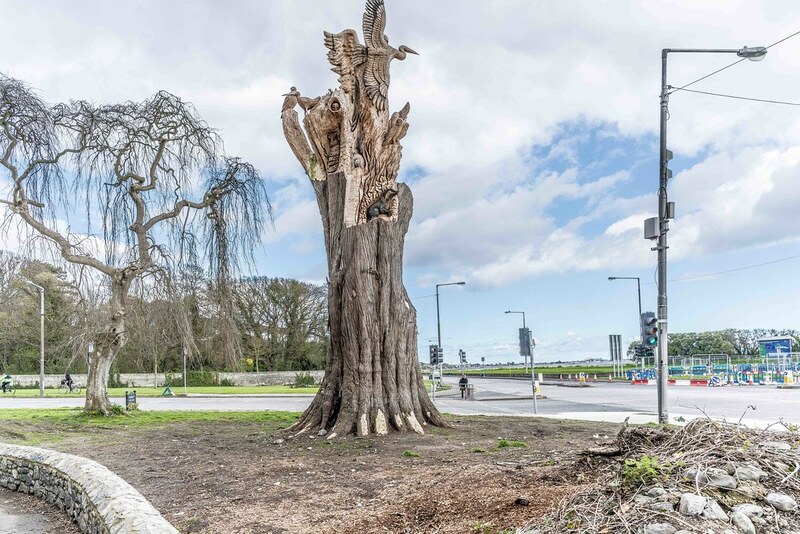 A much loved Monterey Cypress tree had to be cut down for health and safety reasons but, rather than waste the iconic tree, Dublin City Council commissioned the UK tree sculptor Tommy Craggs to create a work of art from the remaining tree stump. 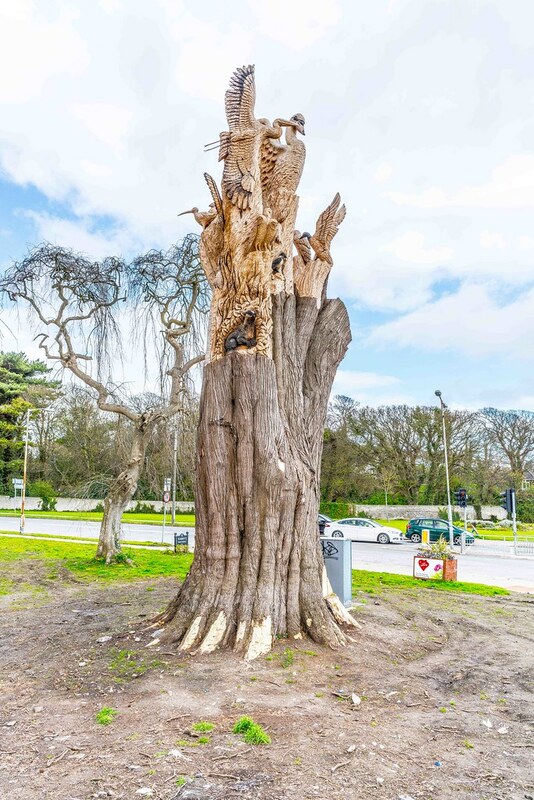 Chainsaw sculptor Tommy Craggs recycles fallen trees or trees felled for tree management reasons. 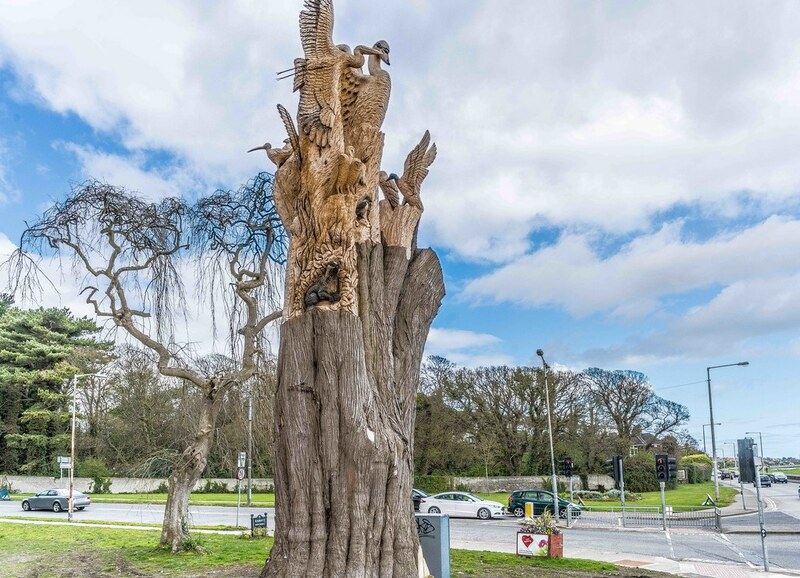 Some of his works can be purchased but others are permanent installations carved from stumps. 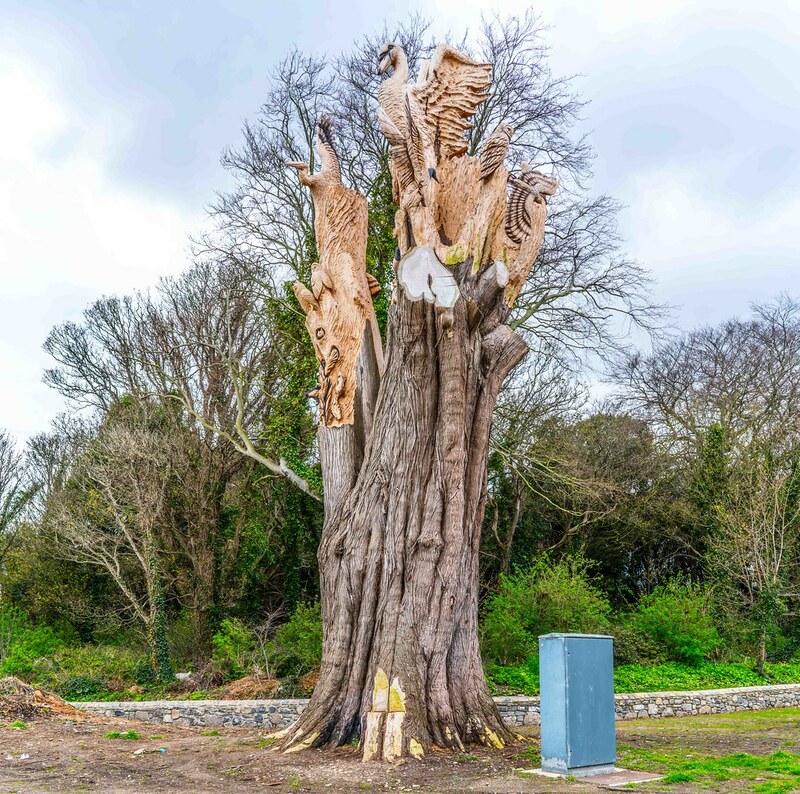 Tommy’s work made the news in 2012 when members of the public reported that a "guerrilla sculptor" had carved three stumps in a forest in the UK. 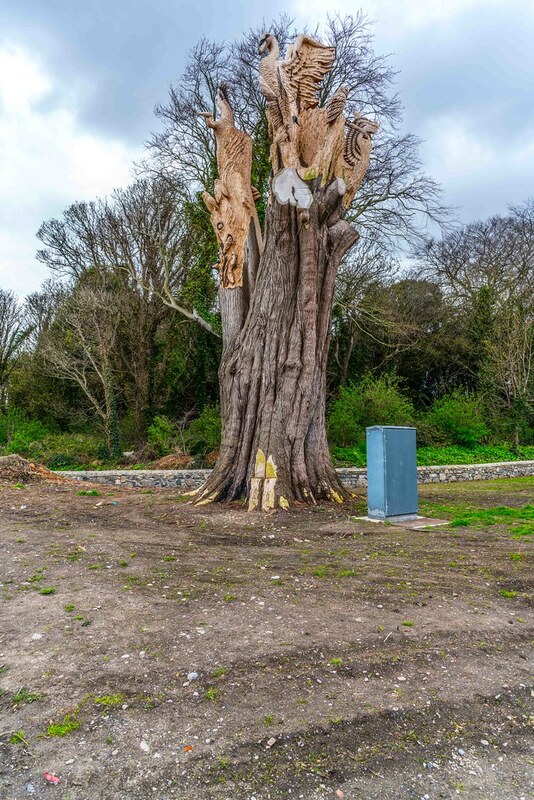 They were, in fact, commissioned sculptures created by Tommy Craggs. 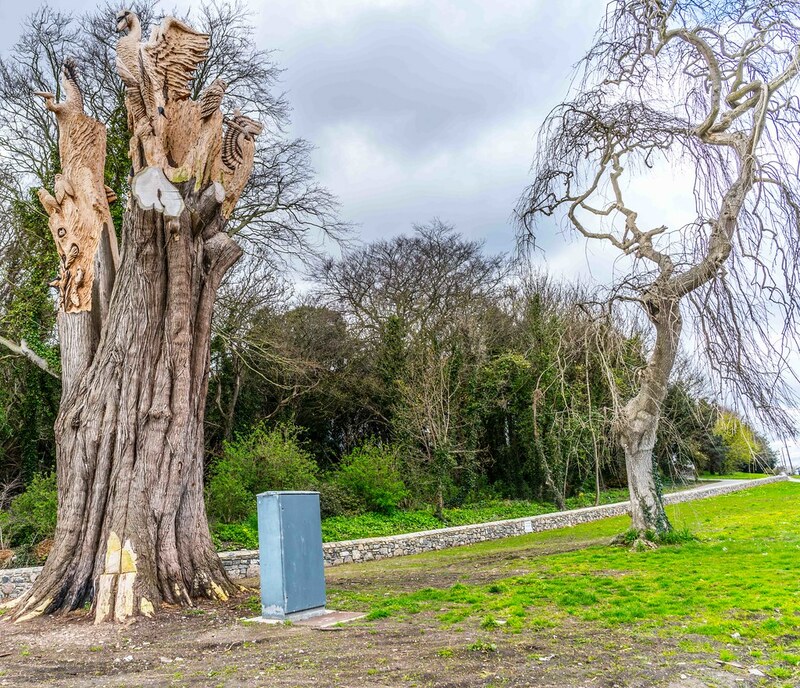 The piece shown in my photographs was inspired by the wildlife found in the nature reserve on the nearby Bull Island and in St. Anne’s Public Park.